Sometimes we all need to escape for a while. Modern life can be stressful, and just getting away can refresh body and soul. There can be few places better suited for such an escape than France. Near to the UK geographically, easy to access and packed with wonderful towns and countryside to enjoy, France is the perfect retreat for world weary Brits. In fact, France is so popular with we Brits that 24% of British households that own a property abroad have chosen to buy in France. This makes France the second most popular destination for overseas property. Pied a terre and bolthole properties - what are they? According to the dictionary, a bolthole is an escape or place of refuge. A pied a terre is noted as a small second house or apartment, which is not lived in permanently. A good bolthole or pied a terre property should be easy to access, enjoyable to live in and located in a place that soothes or inspires the soul. 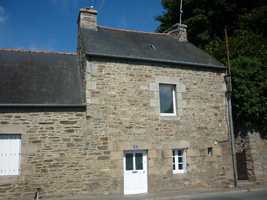 In France there are plenty of possibilities to find such a property. When Peter Mayle wrote his best selling book, "A Year in Provence", Brits realised that they too could have a bolthole in Provence (Provence-Alpes-Côte d'Azur Property Guide). It's the most glorious of French regions. Provence has the sunshine, the beauty and the glamour that we dream of when going about our daily lives in grey old Blighty. And, the grand dame of Provence is Nice. The city by the sea, Nice attracts the rich and famous in droves. There can be few greater pleasures than sitting at a restaurant overlooking the Bay of Nice and watching the yachts mooring up, dispatching the rich and famous to shore. So, a bolthole in Nice is the epitome of the French dream for many of us. The trouble is, we think of Nice (Nice Property Guide) as being too expensive. Certainly, there are properties in Nice that can only ever be bought by those with plenty of cash in the bank. But, there are many properties that are well within the reach of ordinary mortals. A bolthole property needs to be enjoyable, above all else. A characterless, concrete apartment block might provide you with a place to escape to, but it doesn't feed the soul in the same way that a picturesque, traditional French property can. If it's character that you are seeking, take a look at some of the lovely properties we have below. The past few years have been difficult years in economic terms for sure. 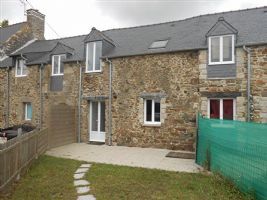 But every cloud has a silver lining, and the silver lining here is that French property has become more and more affordable. 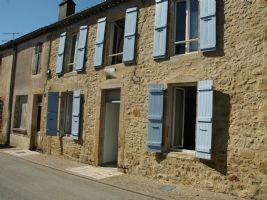 This is definitely the time to find that bolthole or pied a terre in France! So why not take a look through the ten best bolthole properties currently on the market. You could be making that life enhancing step to escape to France for weekends and holidays sooner than you think. Happy browsing! 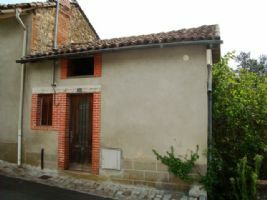 Character townhouse on church square in Montmorillon. Situated a very short walk from all amenities and recently given a quality facelift, this is a lovely 'pied a terre' in a beautiful town. Up the little alley, off the road, we enter the house to find a lobby with, to the left, a super big fitted kitchen of 25m2. Off to the rear of the kitchen there is a good quality shower room with laundry area. The front of the house has a big sitting room, with two French windows, exposed beams and tiled floor. 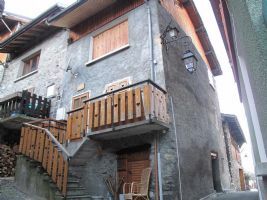 Close to 3 Valleys and Brides-les-Bains, this character, 5-room village house offers 60m² of habitable surface over 3 levels plus basement. 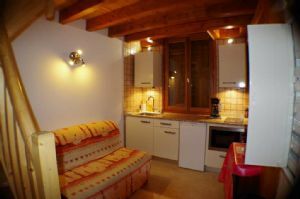 This property is ideal for a pied a terre in the Alps or a first home. On the main floor there is a comfortable living room with fireplace, East bacony and separate kitchen; the upper two floors offer 3 bedrooms and sleeping for up to 6 people plus shower room and WC. Basement area with small workshop, shower / WC and cellar. 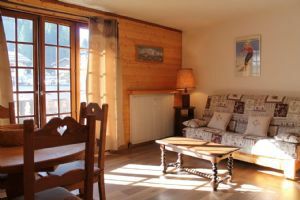 A pleasant little pied à terre with lots of sunshine, well placed in the old part of Les Gets village. From the balcony a great view of the village and the surrounding mountains. There is a useful 'coin montagne' as an extra sleeping area. The apartment is being sold with the furniture and a cellar. The building is protected with a door entry code. In the entrance hall is an alcove with bunk beds; the main room is quite spacious and includes storage cupboards and an equipped kitchenette. 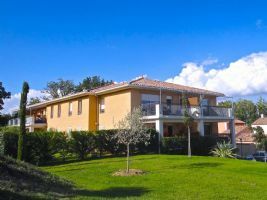 Sale Apartment - Roquebrune-sur-Argens 218,000 € 2 rooms - 1 bedroom - 52 m2 - View : Greenery Reference 308974 - This 2-room apartment with terras and individual garage is situated in a luxury Residence, at the foot of the 18-hole golf course of Roquebrune sur Argens. The apartment is situated in building with elevator and is an ideal place for a pied-a-terre on the Cote d'Azur! The domaine is very neat, has a closed / secured entrance and a large communal swimming pool. Perfect as a pied-a-terre to visit throughout the year or also as a superbly positioned rental property, these apartments represent an extremely rare chance to own a brand new property in one of the most sought after locations in Cannes. 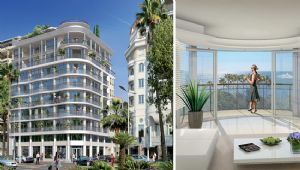 Each property is being completed to the highest of specifications in order to cater for the demanding clientele which frequent this part of Cannes city. Property completion Oct/Nov 2014. Please enquire for more details and viewings.